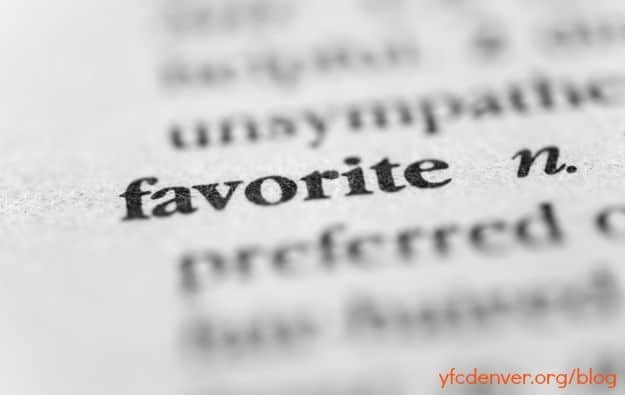 Home » Stories » Should We Have Favorites in our Youth Ministry? Should We Have Favorites in our Youth Ministry? So, in summation, having “favorites” based on personality seems to be a bad idea. But, what about having “favorites” based on spirituality? Now here is where it gets interesting . . . There is a pretty strong case to be made that if we’re following Jesus’ model, it’s not only OK to play spiritual favorites, it may be a necessary part of making disciples. There appears in Luke 10 a description of an interesting group, one that is smaller than the crowd, but larger than the 12. This group is referred to as the “72,” and they are sent in pairs to prepare the way for Jesus throughout the cities and towns where He would travel. While we don’t know exactly who these people were, it seems to me that they were mature enough in their faith to be entrusted by Jesus with important ministry. Of course, there are the 12 disciples. They represent Jesus’ most trusted students. Jesus poured into these men, knowing that most of them would play key roles in the growing of the Christian faith after Jesus’ ministry on earth was through. There were the three, sometimes called the “inner three.” Peter, James, and John. Within the 12, Jesus identified these three as people who were worth a deeper investment. They are mentioned first in the records of the disciples (along with Peter’s brother Andrew). They alone witnessed the Transfiguration. They were taken away with Jesus in the Garden of Gethsemane when Jesus was agonizing over His coming death. They alone witnessed Jesus heal Jairus’ daughter. And so on. And then there was one (maybe). You could make a fairly reasonable argument that among the 12, Peter was the recipient of more of Jesus’ focus attention than any other disciple. So, it’s clear that in Jesus’ discipleship model, He did not attempt to bring all His followers along at the same spiritual pace. He played spiritual favorites, or though it seems. He identified some within the larger crowd (the 72) and tasked them with ministry. He identified a smaller group (the 12) and poured into them, enabling and equipping them to multiply ministry. And within the 12, He identified a group of three who showed even more potential, and He focused His attention on them even more. It’s not unhealthy or hurtful to evaluate the spiritual maturity of your students and to pour into those who are ready for more. It IS wrong, however, to neglect the larger group in order to do so. All of the students in our ministries need to be lead closer to Christ. But we need to be on the lookout for those who, with a little personal attention and discipleship from you or your leaders, are hungry for more. This article originally appeared on youthministry360.com and is being republished by permission.